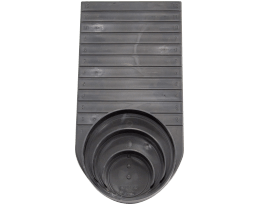 Zip-Trench Polypropylene Trench Drains 6", 12" - Light & Heavy Duty Grates - Jay R. Smith MFG Co. 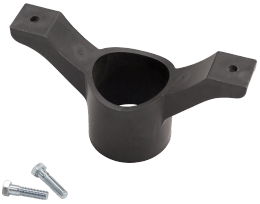 The Zip-Trench is a polypropylene trench drain available in 6” or 12” widths. 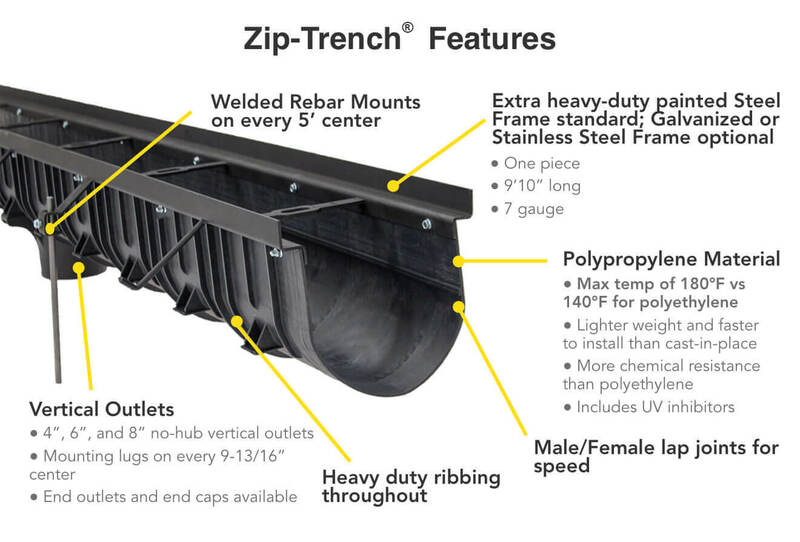 The Zip-Trench offers a less expensive, labor saving alternative to cast-in-place trench drains. 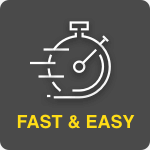 The 9’10" length of the channels and built-in rebar anchors make installation fast and simple. 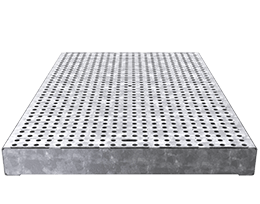 Grates are not required during the pour and alignment clips keep your installation straight. 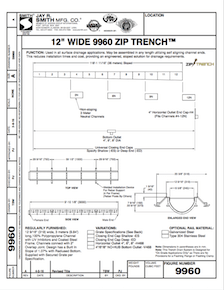 Zip-Trench has four grate choices with Class C and E load rating options. 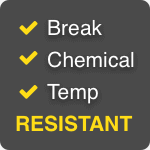 The polypropylene material is break-resistant, impermeable, and offers more chemical resistance than polyethylene used by competitors. 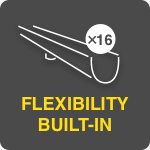 It can also handle temperatures up to 180 degrees F.
With 16 channels (12 sloping and 4 neutral) from a depth of 7-9/16“ to 22-9/16”, Zip-Trench allows for unparalleled flexibility with channels that can be run as long as needed. 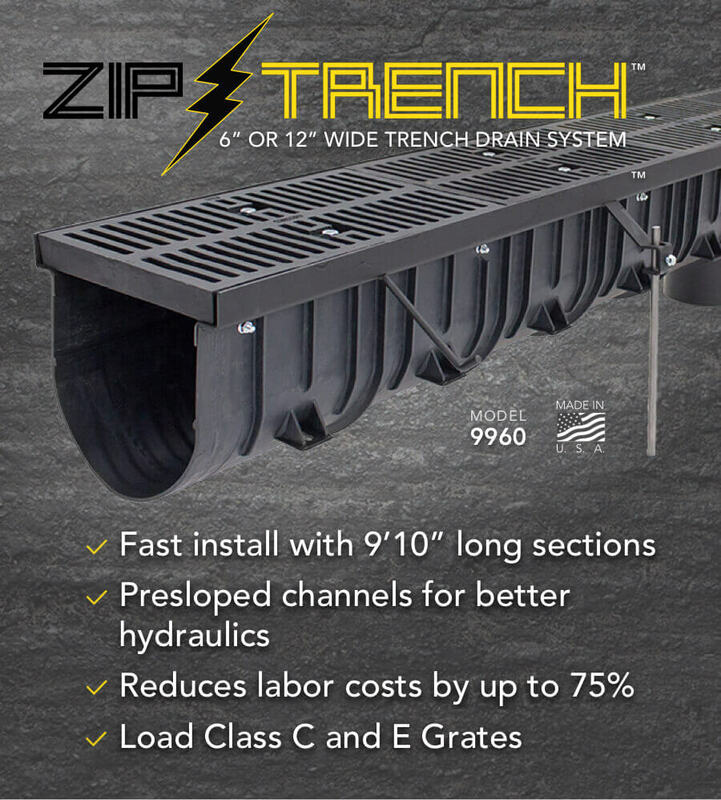 Zip-Trench’s deep rounded base keeps water moving at optimal efficiency. 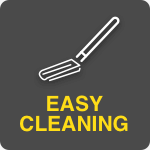 The faster movement of water keeps debris moving and reduces the frequency of servicing. 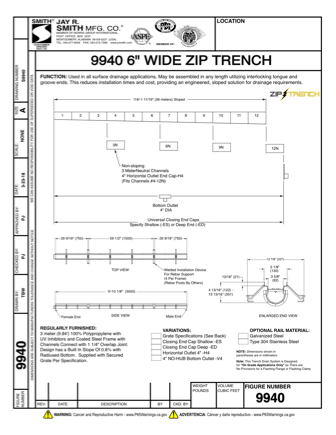 * Based on the costs associated with installing a 100ft section of Cast-in-Place Trench Drain compared to the same length using Smith 9960 Zip-Trench. 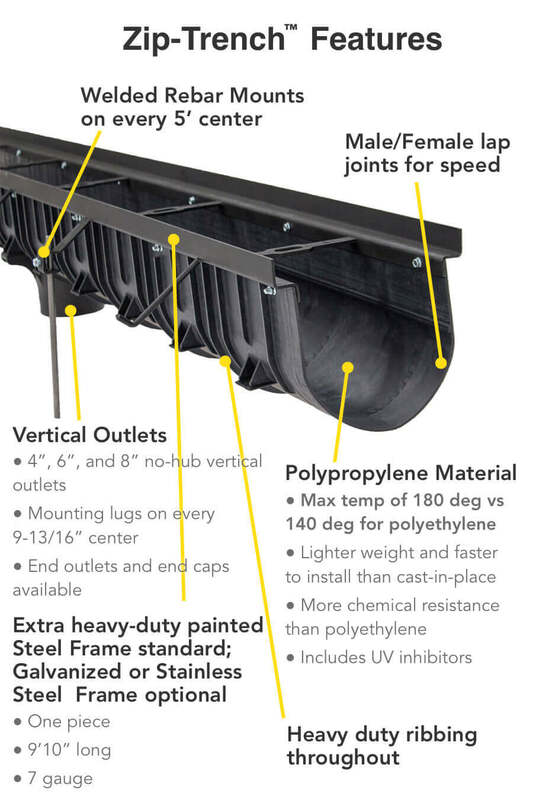 Cast-in-Place installation requires 48hrs of labor compared to 11.5hrs when installing a Zip-Trench Drain. Still want to use Cast-in-Place? 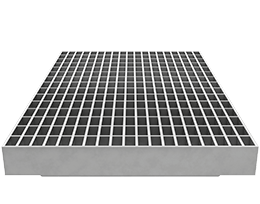 That’s ok. Zip-Trench frames and grates are compatible with Cast-in-Place installations. DIN 19580 Load Class C: 56,000 lbs - 1,162 psi. For commercial pneumatic tire traffic patterns, forklifts and tractor trailers. DIN 19580 Class E: 135,000 lbs - 2,788 psi. 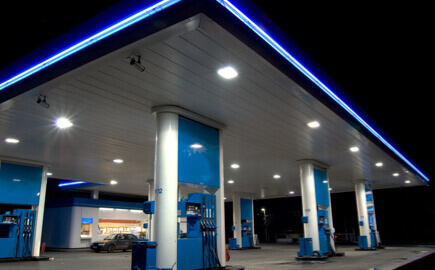 For commercial solid tire traffic patterns, forklifts and impacts from steel struts or metal wheels. 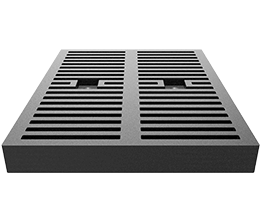 Looking for 6” Zip-Trench™ Grates? 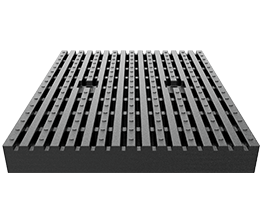 Our 6” Zip-Trench™ is available with a variety of Light, Heavy, and Extra Heavy Duty grates. 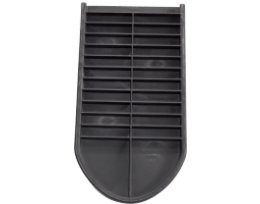 View the product page to explore 6” grate options.